What is the role of an arts-centered space today? How can we steward inclusive and accessible spaces that serve the needs of people of all physical abilities? How can art spaces shape-shift to meet the needs of intersectional communities? From urban planning, to arts and education, these are urgent conversations. Join us for what promises to be a day of meaningful discussions centering access. 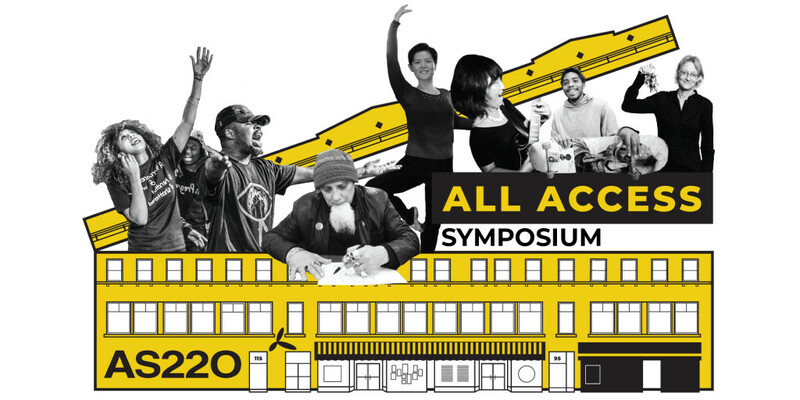 AS220’s All Access Symposium celebrates AS220’s campaign for improved accessibility at our flagship Empire Street building. Find out more, including how you can be involved, HERE. Accessibility of spaces and programs is at the core of equity and inclusion. We can say “our spaces are accessible” but what does that truly mean? This panel will center on how to genuinely steward space that is actively responsive to people of all physical abilities. Lead Presenter: Anne Mulgrave, Greater Pittsburgh Arts Council. What is Design Justice? How can art spaces in facilitate social/civic-based creative practice? What do we mean when we say social/civic creative practice? And how do artists facilitate futures that center community and connection? Continue the conversation! Mix and mingle with guest speakers, symposium attendees, and AS220 supporters and staff. Metered and timed parking for visitors is available along Benefit Street, North/South Main Street or at various parking lots nearby. Visitors are prohibited from parking in RISD Staff lots, with the exception of legally documented handicapped guests. Looking for parking? Find it here, here or here! When you enter the building, please check in with security and let them know you have a meeting at the Library. Please note that all visitors must have photo ID to enter. RHD Rhode Island is a day program that serves individuals with developmental disabilities. This creative, fun, intellectually stimulating, art-based day program provides family support services, community job development and supported employment services. Creating a society where people with disabilities can learn through, participate in, and VSA arts Rhode Island is dedicated to enriching the lives of people with disabilities through active participation in the arts by providing high quality programs and opportunities through which children and adults can enter the mainstream of their communities while promoting the educational and cultural benefits of the arts for all people. The Providence Human Relations Commission works to eliminate unlawful discrimination and to empower the people of Providence through education, advocacy, and collaboration, to ensure access to resources, protection of rights, and promotion of positive community relations. 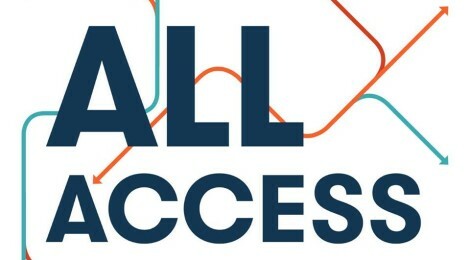 The purpose of the Disability Rights and Access Coalition is to convene a group of advocates, support staff, family members, service providers, and citizens to advocate for increasing the rights and community inclusion of people with disabilities. The coalition exists to educate and advocate for policies that furthers that goal. At the core of our mission is equity, ensuring all people receive access to high quality supports and accommodations they need to live happy, fulfilled lives. We believe the people who provide supports should receive family-sustaining wages and benefits, and providers should be funded for the cost of providing those services.